One-owner San Francisco car, low miles, good condition, fully serviced and with 4 new tires. Brakes 45% remaining life. This car had an original MSRP of nearly $45,000: options include a $1,325 6-speed Steptronic automatic, $3,350 Premium Package, $995 Power Seats, $2,400 Radar-managed Active Cruise Control, and $2,100 Hard-drive Navigation System. Available at our wholesale cost of $1,500 is a 5 year/100,000 additional mile powertrain warranty (engine, transmission, water pump, differential) - that's about half what others charge for the same coverage. Among the 2009 3-Series model changes were mildly revised styling, an upgraded interior, a slight increase in rear track width, simpler iDrive interface, in-car Internet access, and a new audio system. Overall the 2009 3-Series has a slightly sharper, more muscular appearance than its predecessor. All models receive LED turn signals and taillights as well. The 3-series still is the best driving car in the class. The rest of the segment just doesn’t offer the communicative steering and wonderful chassis balance of the 3. BMW is renowned for offering a magnificent blend of restrained luxury, top-notch build quality, just-right size, ample feature content and a ride/handling balance that other manufacturers have been unsuccessfully trying to copy for ages. In government crash tests, 2009 328i sedan received four out of five stars for frontal collision protection and five stars for side protection. Manheim Dealer Auctions' Condition Rating for this car is 4.4 on a scale of 5 being the highest (the norm is 3.0 for this year/model). The retail value of this car, based on Manheim Dealer Auctions' survey of retail prices, is $10,000. We offer the car for $7,900 - a truly great deal, especially when coupled with the optional extended warranty. This car is warehoused in Groveland, "Gateway to Yosemite"; delivery to the Bay Area might be possible. Note: the higher-performance 335i has experienced a lot of problems with its small twin turbos and we suggest it be avoided; the incidents of problems has the turbos on back order. 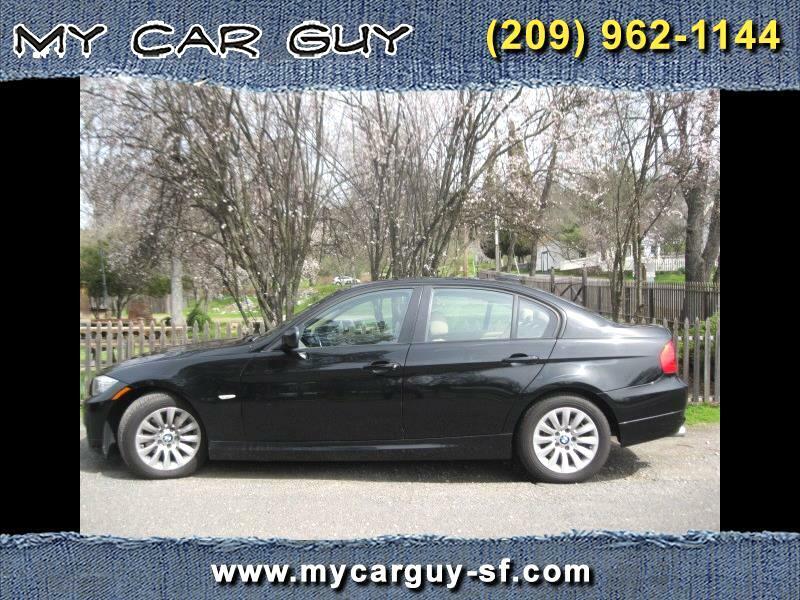 Visit My Car Guy online at www.mycarguy-sf.com to see more pictures of this vehicle or call us at (209) 962-1144 today to schedule your test drive. Message: Thought you might be interested in this 2009 BMW 3-Series.